Requested donation helps cover the cost of production, shipping, handling, and sales tax. Custom printing is available for orders of more than 10,000 bags. Please call the Safe Homes Coalition at 844-234-SAFE(7233) or email us at Info@makeitasafehome.org. Celeste Young, former Program Manager for County of San Diego drug prevention provider, Mental Health Systems, noticed that teens in San Diego were repeatedly describing real estate open houses as the best places to find and steal prescription medicines in order to get high. 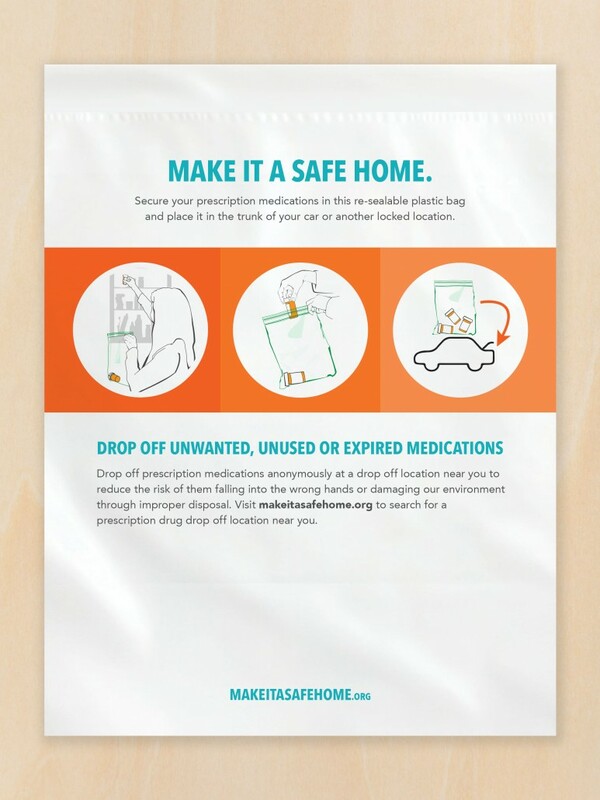 She shared her discovery with Angie Stanley of Oakwood Escrow and Sherrie Rubin from the Hope2gether Foundation, and together, funded the production of 200 bags that had instructions to safely store prescription medications that were given to real estate clients. Greg Stein, Vice President of Strategic & Community Affairs at Millennium Health, found out about the program, and together with Young, pitched the San Diego Association of REALTORS® on the idea of a county-wide program to inform their 12,000 members about the need to safely secure medications during open houses. 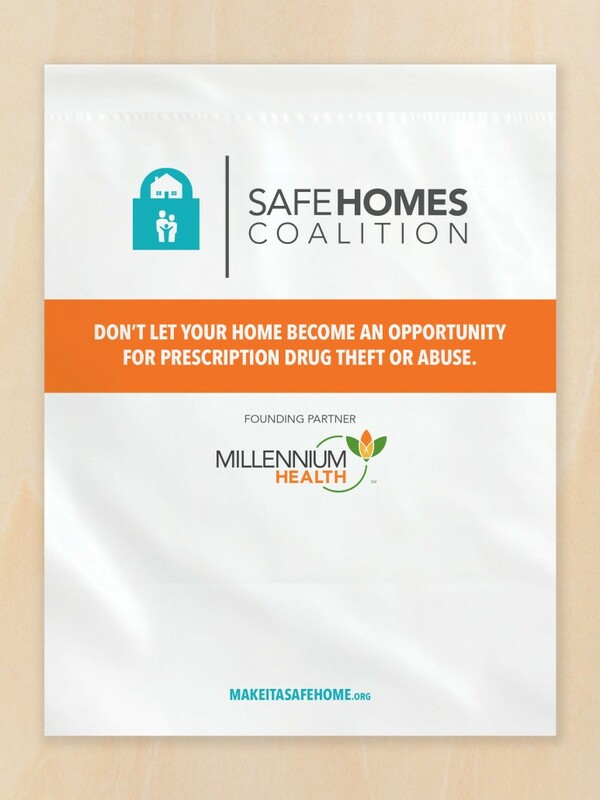 The Safe Homes Coalition expanded to include endorsements and the support of Bill Gore, San Diego County Sheriff; Bonnie Dumanis, San Diego County District Attorney; and the San Diego Prescription Drug Abuse Task Force. 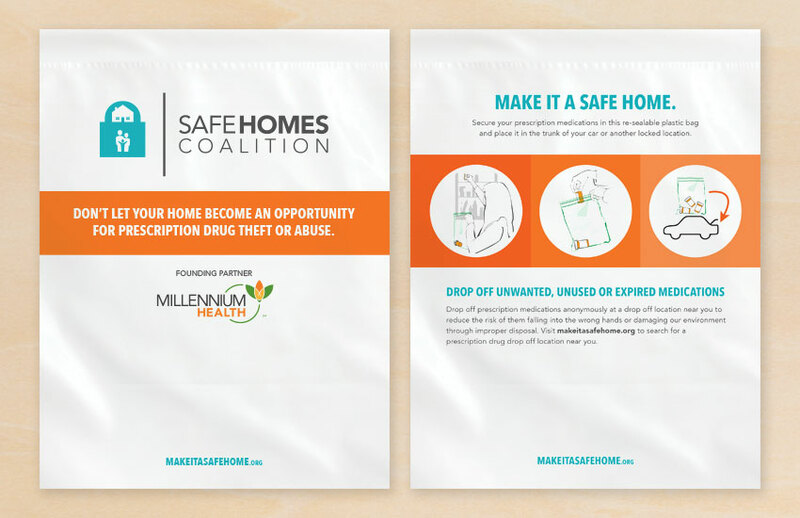 In March 2014, the Safe Homes Coalition launched a county-wide campaign to distribute more than 10,000 bags to real estate professionals and families. Seven months later, they reached their goal and also educated the community about the more than two dozen drop boxes available throughout the County where families could safely, securely, and anonymously dispose of their medications and ensure that they were properly destroyed. 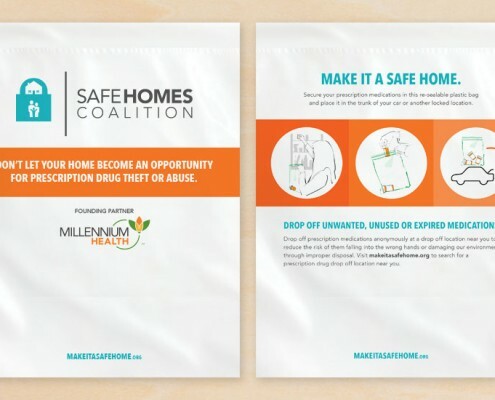 In October 2014, the Safe Homes Coalition received a proclamation from the state of California for their successful efforts to inform the public about the proper use, storage and disposal of prescription drugs. 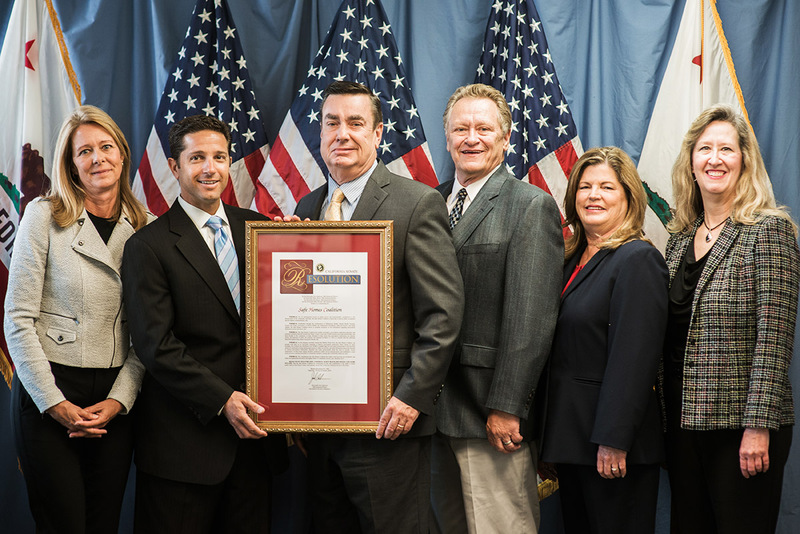 The recognition was presented by California State Senator Joel Anderson during Red Ribbon Week – the oldest and largest drug prevention program in the country. In March 2015, one year after the Safe Homes Coalition’s launch, the program was officially granted 501c(3) status as a non-profit organization from the IRS. On September 30, 2015, the Safe Homes Coalition launched its Greater Boston/Massachusetts Keep Kids Safe educational program with Learn to Cope serving as the Educational Partner, the Greater Boston Association of REALTORS®, a division of the Greater Boston Real Estate Board serving as Community Partner, and with the support of Millennium Health as Founding Partner.